Dr Kate Brettingham-Moore is a lecturer in the School of Medicine in the College of Health and Medicine. Her research involves molecular profiling of prostate cancer cells to identify drivers of treatment resistance and potential predictive biomarkers. Kate obtained a PhD in molecular biology from the University of Tasmania in 2007. Her thesis investigated the molecular mechanisms involved in GM-CSF gene activation. During her post-doc at the Murdoch Children’s Research Institute in Melbourne (2007-2008), she examined the role of transcription in centromere formation. This was followed by a post-doc at the Peter MacCallum Cancer Centre in Melbourne (2008-2010) where she studied the potential of pre-treatment transcriptional biomarkers in predicting response to chemoradiotherapy. Kate returned to the University of Tasmania at the end of 2010 and is now a lecturer in the School of Medicine. Her research involves molecular profiling of prostate cancer cells to identify drivers of treatment resistance and potential predictive biomarkers. Kate has teaching expertise in undergraduate molecular biology. She teaches cell biology and cancer genetics into the MBBS and is unit coordinator for the BMedRes unit, Human Genetics (CEA301). In addition, Kate was involved in designing and developing the Research Skills units (CAA209 and CAM103). She has supervised a number of Honours students (as primary supervisor) and PhD students (as co-supervisor). Invited reviewer for a number of journals including BMC cancer & Journal of Experimental and Clinical Cancer Research. Kate's research aligns to the University's research theme of Better Health. Her research interests lie in personalised medicine and uncovering functionally relevant biomarkers to predict response to cancer therapies. Treatment resistance and disease recurrence are significant problems following chemo/radiotherapy for cancer patients. The development of predictive biomarkers would enable identification of patients unlikely to respond to treatment and help direct them towards better treatment options. In terms of searching for a predictor of response, the most successful predictive tests rely on the marker being functionally relevant and involved in the therapeutic mechanism. Current work is focussed on radiation resistance in prostate cancer and characterising the molecular differences in resistant versus sensitive cells. Kate is involved in a number projects investigating molecular drivers of prostate cancer and leukaemia. She collaborates with Associate Professor Adele Holloway and Dr Phillippa Taberlay within the School of Medicine, along with collaborators from the Royal Hobart Hospital and University of Melbourne. DNA methylation changes following radiotherapy in prostate cancer cells: investigating the epigenetic changes prostate cancer cells experience following radiotherapy and the implications these may have in terms of treatment response. We lack a model that better replicates in vivo tumour development to study epigenomic mechanisms of prostate cancer. To date, epigenetic changes in cancer have been investigated in homogenous cell lines from two-dimensional laboratory cultures or end-point tumour samples (static) from patients. Without doubt these studies have provided great insight into epigenetic differences that distinguish cancer cells from normal cells. However, there is a glaring lack of information about dynamic and temporal changes to the epigenome and cell behaviour as the cells acquire invasive potential. This is not possible using currently available two-dimensional models and clinical samples. We will address this deficit by establishing a three-dimensional model of prostate cancer that allows us to map how epigenomes and cell behaviours change during cancer development. This project will investigate how epigenetic and transcription factors co-operate to control gene expression, how this is reprogrammed in leukaemia and how epigenetic drugs impact these gene expression programs. This project will investigate the basal and post radiotherapy epigenetic changes in prostate cancer cells with divergent response to radiotherapy (RT). It will validate methylation data obtained from illumina Infinium 450 beadchip arrays, profile histone modifications post RT and investigate DNA damage post RT in cells treated with inhibitors of epigenetic enzymes (DNMT and HDAC). Prostate cancer diagnoses continue to rise rapidly in Australia, but of most concern is ourcurrent inability to distinguish aggressive tumours with propensity to metastasize from moreindolent disease. This results in unnecessary treatment of many men whose cancer may neverprogress to clinically significant disease. However, progression of the disease results in aggressive, metastatic tumours which are difficult to treat and are associated with poor prognosis. We thus urgently require a better understanding of the underlying drivers of this disease, and particularly the factors and mechanisms that drive the transition to more aggressive tumours with a propensity to spread. These factors may represent biomarkers and potential therapeutic targets in prostate cancer progression.The aims of this study are therefore:1.To determine whether epigenetic changes at the ITGB4 gene are associated with its increased expression in prostate cancer progression, and 2. To investigate whether epigenetic changes at the ITGB4 gene in prostate cancer are driven by the RUNX transcription factors. 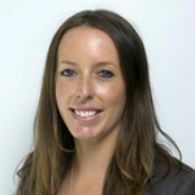 Kate is currently co-supervising 3 PhD students and has been primary supervisor for 4 completed Honours students.